The Pizza Man Delivers and Receives Breeders’ Cup Turf Entry: The Arlington Million is a relatively new race. Inaugurated in 1981, John Henry won the first official running of the Million. The race is run at twelve furlongs, or one-and-one-half miles, on the turf. 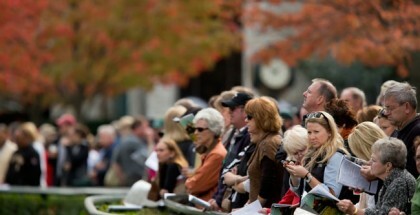 In the thirty-four years of the Million, twelve foreign-bred horses have won the race. 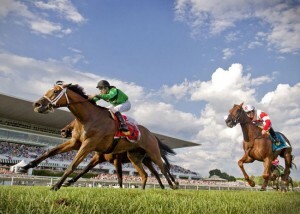 Every year, some of the best European horses travel to Arlington to compete in the Arlington Million. This year, however, no number of European horses could deny an Illinois-bred who held off a very good horse in Big Blue Kitten to bring the Arlington Million victory home. This Pizza Man delivered Illinois its Million. The Pizza Man was bred for long-distance turf races. The gelding is a son of English Channel, winner of multiple long-distance turf races, including the Breeders’ Cup Turf in 2007 over top horses such as Red Rocks (IRE), Better Talk Now, and Dylan Thomas (IRE). The stallion was awarded the 2007 Eclipse Award for Champion Grass Horse. The mare that produced The Pizza Man, I Can Fan Fan, was multiple stakes-placed but was never able to break through, and eventually she became a consistent runner in the claiming ranks before retiring to the farm. However, her sire, Lear Fan, was much more successful in a very short time. Lear Fan was an American-bred, British-trained son of Roberto, a very influential turf stallion. Lear Fan was unbeaten as a juvenile in three starts. Coming back at age three, the colt was two for four in England before being sent to Hollywood Park for the Breeders’ Cup Mile in which he finished seventh. He was retired thereafter and stood his entire stud career at Gainesway Farm near Lexington, Kentucky. At stud, Lear Fan sired 65 stakes winners earning $41 million in prize money. Along with the Arlington Million for The Pizza Man’s victories of 2015, he has also won the Grade III Stars and Stripes Stakes and the listed Opening Verse Stakes. The Arlington Million was a special one not only for Illinois natives but for the gelding as it was his first Grade I victory. The Pizza Man has earned an automatic berth into the Breeders’ Cup Turf on October 31, which will take place at Keeneland Race Course in Lexington, Kentucky. 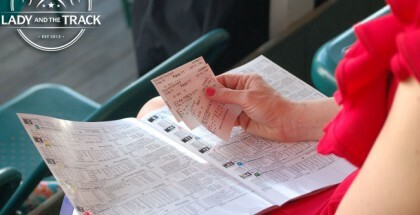 Taking place on the second day of the event, the first day hosts the Juvenile Turf, Dirt Mile, Juvenile Fillies Turf, and the Distaff. 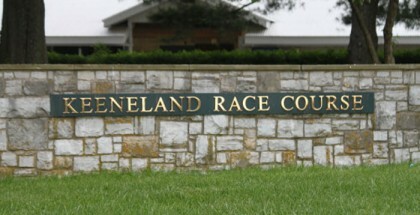 Keeneland has never hosted a Breeders’ Cup but has been preparing the grounds for months.